Creating a Power of Attorney is an important piece of your estate plan. Many people mistakenly believe they do not need to have a Power of Attorney in effect until after they have lost their legal capacity to sign over Power of Attorney. However, you cannot sign over Power of Attorney once you are incapacitated. If you become legally incompetent, the only recourse available for your family or friends will be to seek a conservatorship or guardianship through the court system, which is expensive and time consuming. For this reason, estate planning Power of Attorney is crucial. Plan now to ensure that your wishes are respected if there comes a time when you are no longer able to take care of yourself or your finances. Creating your Power of Attorney documentation early can give you and your loved one’s peace of mind as you plan for the future. Power of attorney is a legal document that allows you to appoint a person to manage your affairs if you become unable to do so yourself. The person you appoint is called the agent, or attorney in fact, and the person who appoints is called the principal. You can decide what powers you want to grant your agent. This is why a qualified attorney should draft your document, so your wishes for your unique situation are executed. There is more than one type of Power of Attorney, and your individual circumstances will determine which powers you should grant. It is crucial to choose a trustworthy person to be your agent. Think carefully about who you trust to have control over your finances and medical care. Limited Power of Attorney: Grants your agent the power to make decisions for a limited purpose or time. Springing Power of Attorney: A springing Power of Attorney comes into effect if you become incapacitated, but not before. An attorney will draft the document to clearly state the standard for determining incapacity. A Springing Power of Attorney is rarely used due to the inconvenience of needing proof of incapacity. Medical Proxy: A document that empowers an agent to make healthcare decisions on your behalf. You may be worried your agent will take advantage of you or mismanage your finances and estate. While it is true that granting a Power of Attorney gives your agent an enormous amount of power, they have a fiduciary obligation to act in your best interest. There can be serious problems if your agent is dishonest and does not act in your interest. Therefore, think carefully about who you choose to designate as your agent. If you are worried about granting someone else Power of Attorney, remember, your agent won’t legally own your property or assets. They have authority to manage your affairs, but you can revoke a Power of Attorney at any time while you are still legally competent. Granting Power of Attorney does not limit you from making your own decisions in the meantime. 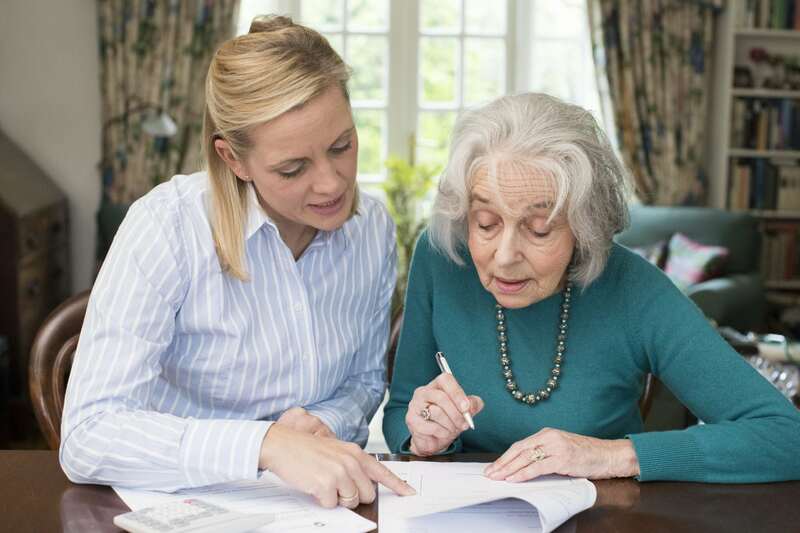 Putting a plan in place for your elder law Power of Attorney can help you and your loved ones manage your affairs if a time comes when you need help. Seeking counsel from an elder law attorney can help you make informed choices for you and your family. Whether you wish to execute your Power of Attorney, need other estate planning documents, wish to plan for a long term care need, require elder care guidance, or simply wish to speak to an experienced elder law attorney, NJ Elder Law Center at Goldberg Law Group is here to help.